Hello Lovelies! Before I start with this review, I thought I'd just let you know that I'm currently holding a £10 Lush Gift Card giveaway on my Twitter that ends on the 29th Feb. All you have to do is follow me and retweet this tweet, so its nice and simple and if you do decide to enter, good luck! Today's review is one that I'm really excited to share with you guys. If you watched my Lush Easter Haul, you'll have seen that I finally picked up this Oxford Street Exclusive that is actually part of The Mother's Day Collection! The Roller Bath bomb (£3.95), was one that intrigued me from the get go as it's half bath melt, half bath bomb, a combination that just really excited me (aren't I sad?). With all the hype around this bath bomb, I couldn't wait to see what it had in store for me. Scent wise it has a lovely floral/fruity scent, with a lot of people saying it actually smells of strawberry (which I honestly didn't pick up on). 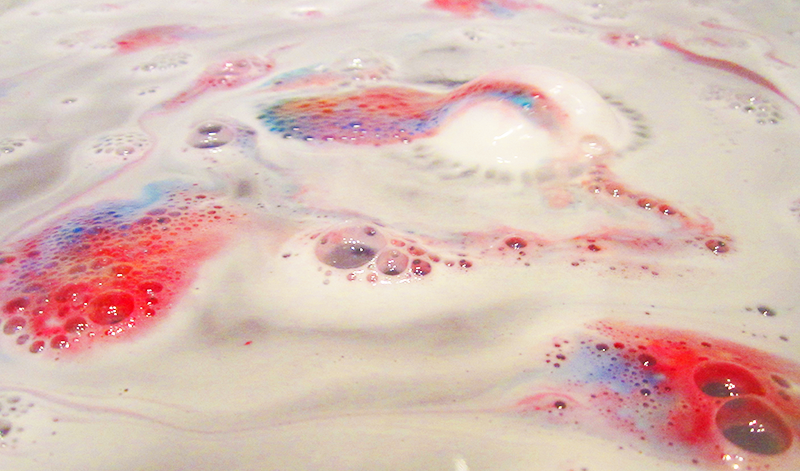 When you drop this bath bomb, bath melt hybrid into your bath, it starts to slowly dissolve, spurting out white and lovely bursts of rainbow colours. Honestly this one is just a joy to watch, as the colours are so pretty so I think it's the perfect bath bomb after a long day as it's just so relaxing to watch! 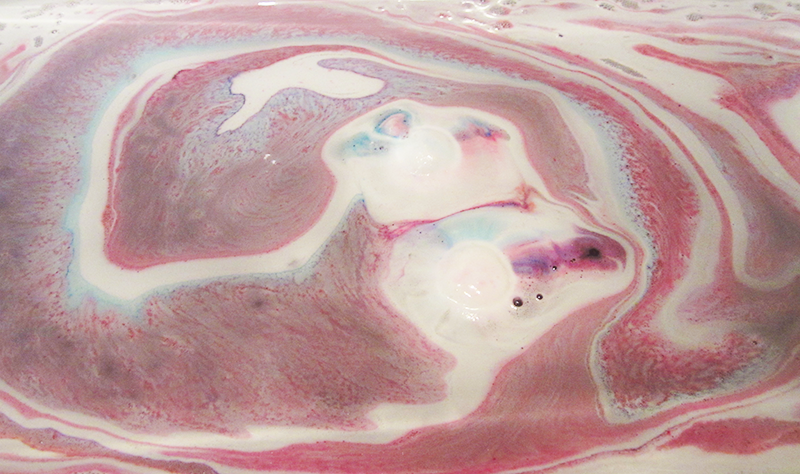 After a while the bath bomb breaks in half, and dissolves in two separate disks until eventually you're left with a deep purple bath. What takes this bath bomb to another level though, is how moisturising this is. 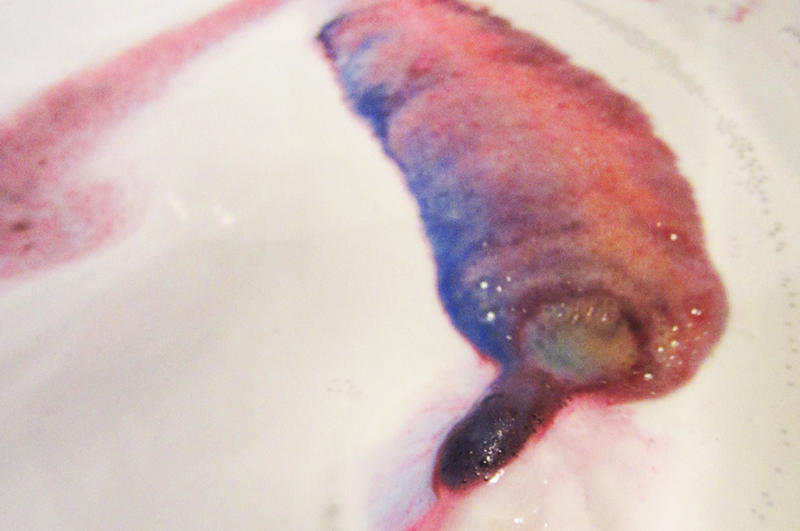 When you leave the bath, your skin just feels so incredibly smooth. It's just lush, really... (no pun intended). So yes, if you couldn't tell, I really loved this bath bomb. I may actually have to go and buy another one to give to my mum as I think it's that good - and maybe even a cheeky one for myself. 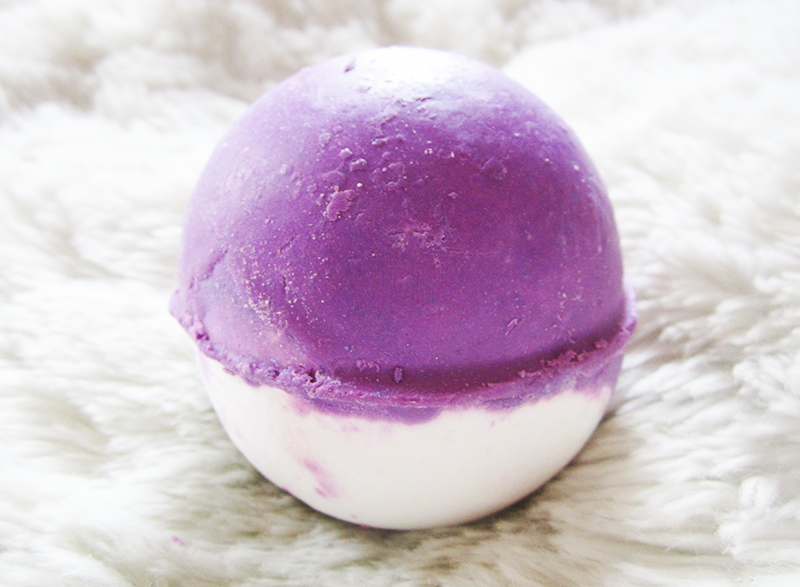 If you love bath bombs that really put on a show, and are moisturising than Roller Bath Bomb is for you. The only question is why the hell didn't Lush put this in all stores. It's honestly just so amazing, I'm kind of annoyed at them that they haven't! Thank you for reading lovelies! Have you bought any Lush recently, do let me know! 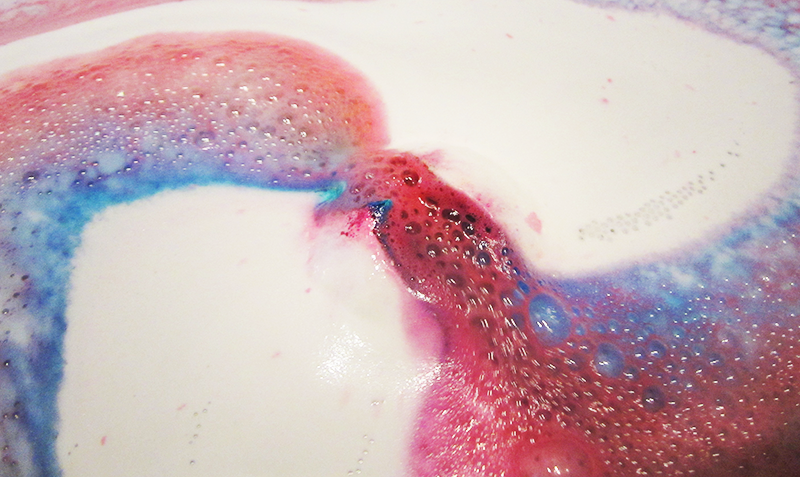 This bath bomb is gorgeous, your pictures make it look so beautiful! I recently bought the comforter and i love it! I love a colourful bath bomb, shame I don't have a bath anymore I had to use my remaining bombs in the shower :'( This really does look amazing and I would love to have a bath right now with that one. So so pretty, I love the more brightly coloured ones! I tried Lord of Misrule recently and as fun as it was, the murky green water was not all that inviting! OMG I NEEEEEED to go to Oxford St soon! After they didn't do Christmas exclusives, I wasn't expecting any for other seasonal collections.